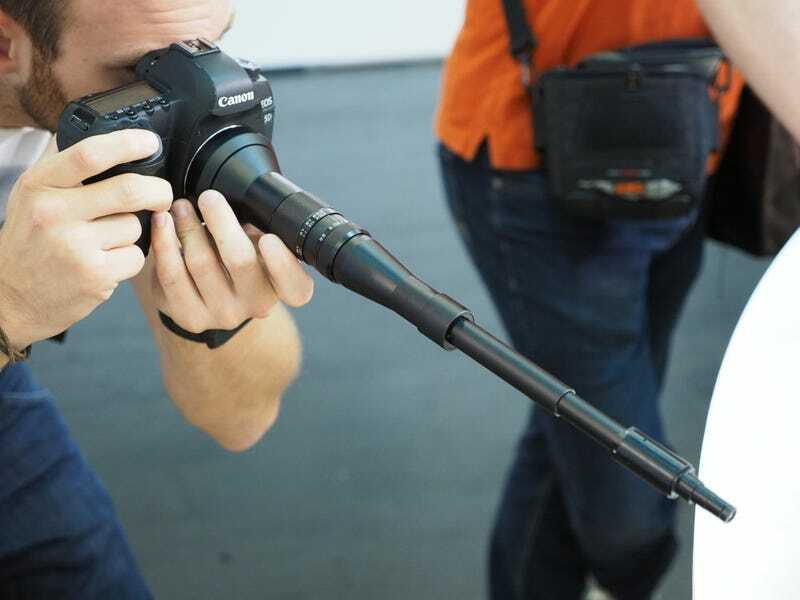 Venus Optics says this wacky new macro lens is designed for photographing what the company calls “shy” objects. The long barrel lets you stay at a safe distance from the subject, and the 2:1 max reproduction ration makes sure you get a nice clean shot every time. The lens is offered for both Nikon and Canon full-frame cameras. The lens itself is partially collapsable and tapers off to about the size of a dime. There’s no price on this super-scoping lens just yet, and it’s scheduled to arrive sometime in 2017. For more details and photos, head to ePhotozine and check them out.